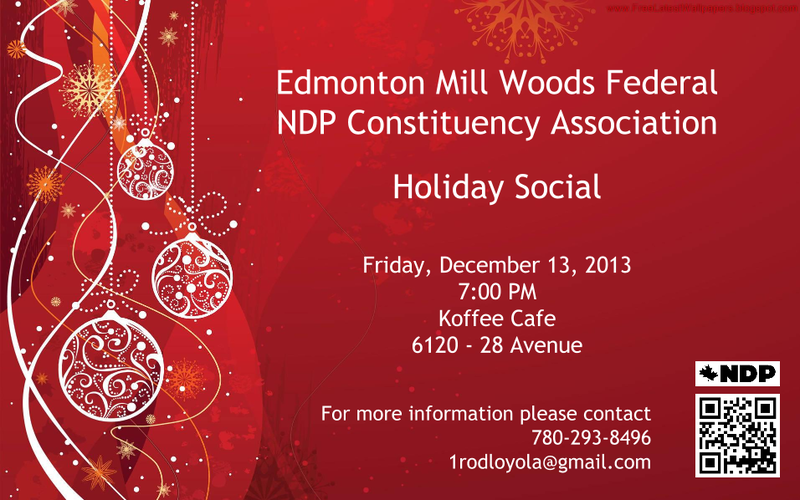 Please join us for an evening of friendship and solidarity as we set the foundation for the 2015 federal election. We call on all NDP sympathizers, supporters, and advocates. With omnibus Bill C-4 the conservatives are yet again pushing through policies having nothing to do with the budget. Bill C-4 includes changes having to do with the Mackenzie Valley Gas Project, and Public Service Labour Relations to name a few. Similar to omnibus Bills C-38, C-45, and C-60, the Conservatives are changing the face of Canada and most importantly the values that we hold dear as Canadians. If passed this potential piece of legislation could significantly weaken the ability of employees to refuse to work in dangerous conditions. It grants virtually all health and safety powers to the minister. This concentration of power in the hands of one minister is very dangerous. 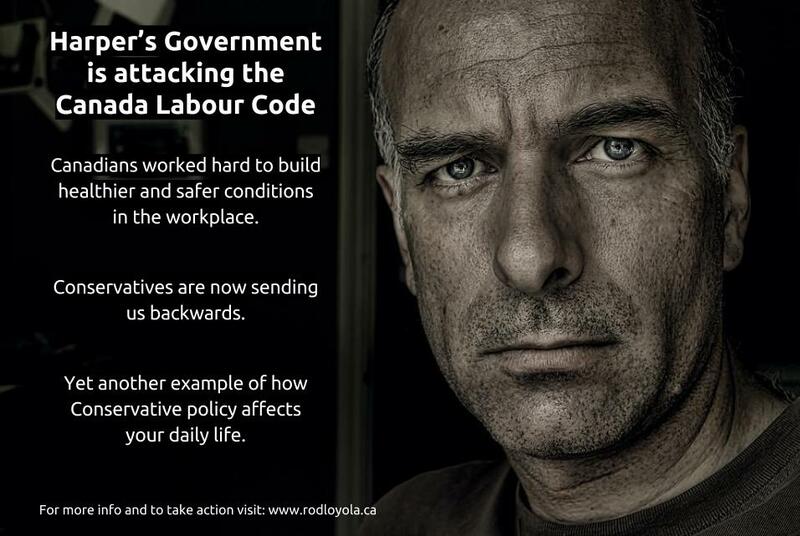 When the Conservatives attack the Canada Labour Code, they are attacking what Canadians worked hard to build over the years, the struggle for healthier and safer work conditions. This is the opposite of progress. This is a step backwards and we as Canadians should be very concerned. Instead of protecting Canadians from having to work in situations that expose them to unacceptable risks, they are nullifying existing legislations that protect us. This is yet another example of how Conservative policies affect your daily life. Please contact your MP today and let them know that omnibus Bill C-4 is unacceptable. Door Knocking in Edmonton-Mill Woods-Beaumont has Commenced! I am so happy to announce that today was the first day of intense campaigning in Edmonton Mill Woods. At 9:00 AM I had meetings to secure donations from strong supporters from my last provincial campaign and at 3:00 PM I visited with Punjabi community organizers of the Progressive People’s Foundation who organized a Soccer Tournament for youth in their community. I spent the rest of the day door knocking in the constituency letting citizens know that I am seeking the NDP nomination in the riding. People were definitely surprised to see me on their doorstep so early but greatful at the sametime. GAME ON EVERYONE! NDP IN 2015! Rod joined past provincial campaign volunteers and other NDP supporters as well as MP Linda Duncan and MLAs Rachael Notley, David Eggen, Deron Bilous, and Alberta NDP Leader Brian Mason. Rod Loyola and wife Johanna participating in the 2013 Pride Parade. All Out for May Day 2013! On Wednesday May 1st Edmontonians will gather at 112th Street and 82nd Avenue, joining millions demonstrating internationally in defense of the rights of workers and the rights of all. This demonstration marks International Workers Day, a day of struggle and celebration to end the exploitation of working peoples. Marchers will gather at 6pm for a rally and will march at 6:30 pm to demonstrate their opposition to recent attacks on workers’ rights and cuts to social programs.This year May Day will be a broad anti-austerity demonstration with a focus on the recent devastating cuts to post-secondary education in Alberta. By recognizing students as workers, we wish to work together to fight for a world without exploitation. Recognition is only the beginning. Solidarity forever.